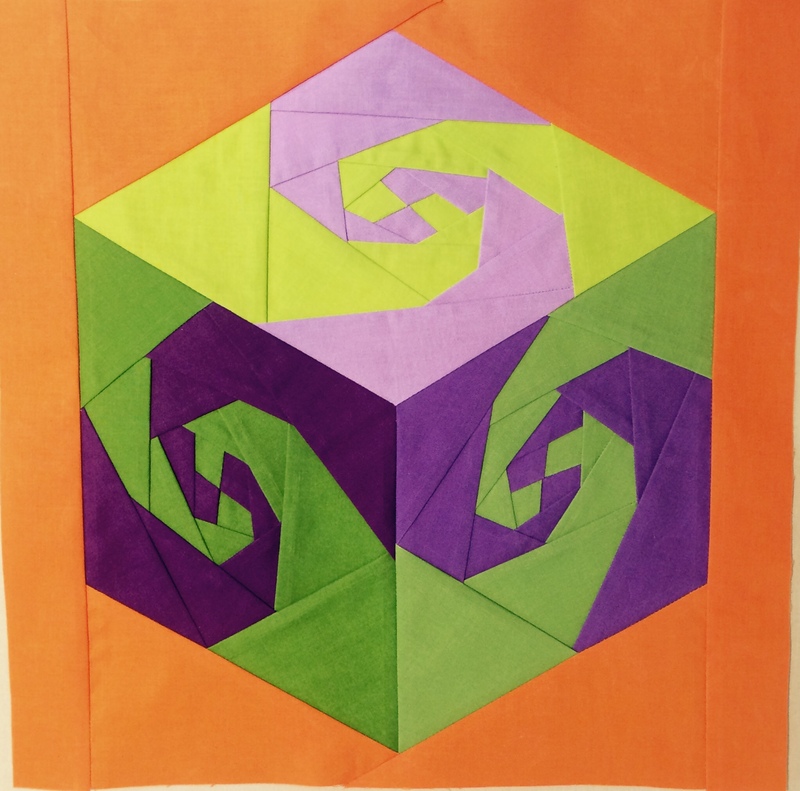 Modern Quilts Unlimited Magazine/Michael Miller fabrics block challenge, month #2. Just arrived! My goodie bag from Modern Quilts Unlimited Magazine for winning the MQUmag/Michael Miller “Everything Old is New Again” July Block Challenge. 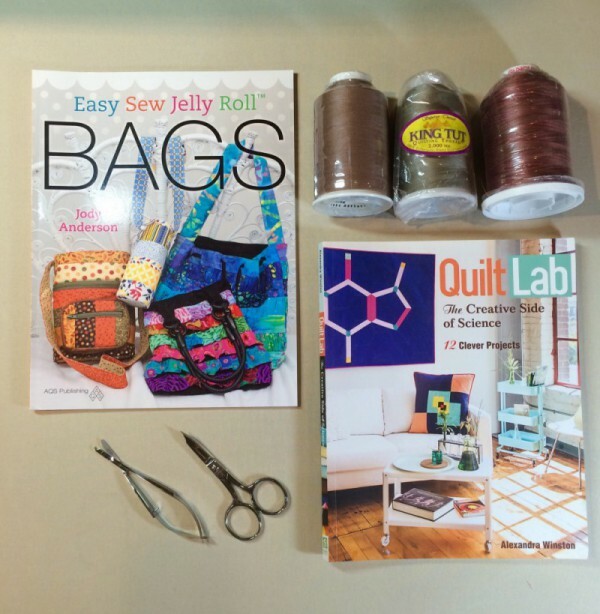 2 nice books, some great neutral thread for my long arm from YLI, Sulky, and Superior Threads, and Famore’ snips and curved embroidery scissors (they work great cutting fabric with the tips). 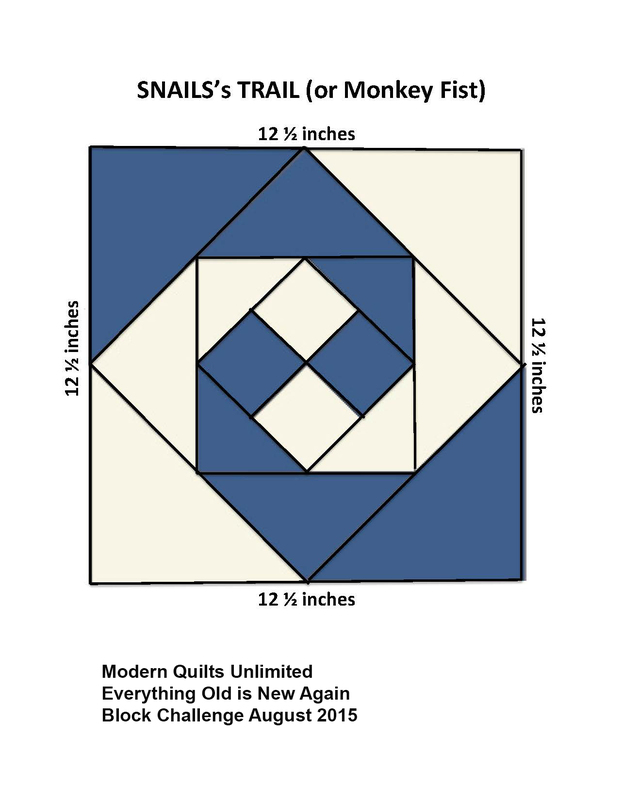 Thank you, Vicki Anderson of Modern Quilts Unlimited Magazine.